Tutor: John Morrison Master the camera and post processing skills required to produce an end result that matches your creative vision and expectations. 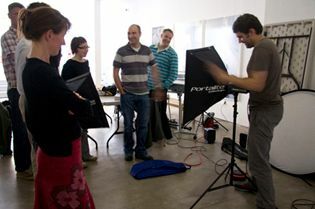 This practical and fun course has been extended to six weeks enabling participants to fully explore the essential camera and Photoshop skills you need to produce stunning digital photographs. Experienced tutor John Morrison helps you harness your creative potential in six engaging and empowering modules. Demystify the technical jargon and unlock your DSLR cameras full potential. Learn Photoshop from a photographer's perspective and the essential skills you need to really make your images shine, on screen, on the web and print. If you don't have a digital SLR we can provide one for you. Computer experience is required.